Even though parsley is in season all year round, I declare it to be my personal spring herb. I find its tart flavor very fresh and invigorating, just what you need after a long sleepy winter. In Mark Bittmann's 'How to Cook Everything", I found a recipe of parsley pesto (which I didn't use). 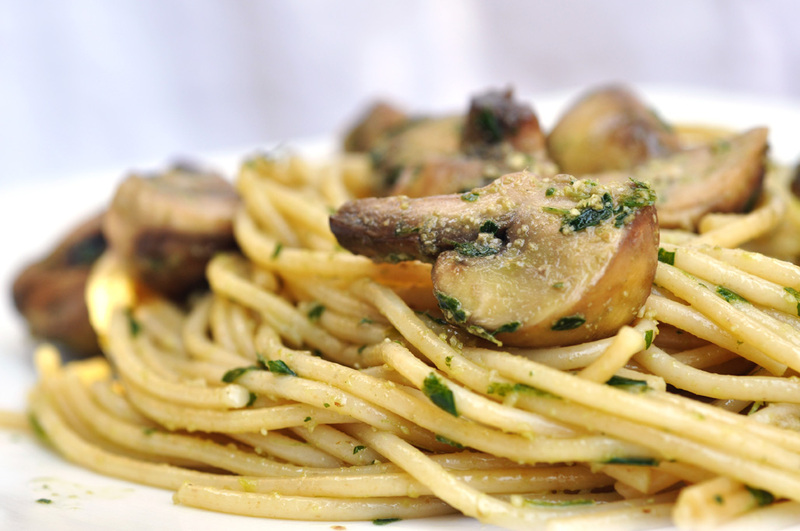 However, he suggests the combination of mushrooms with parsley pesto. And that was the birth of this flavorful light dish.